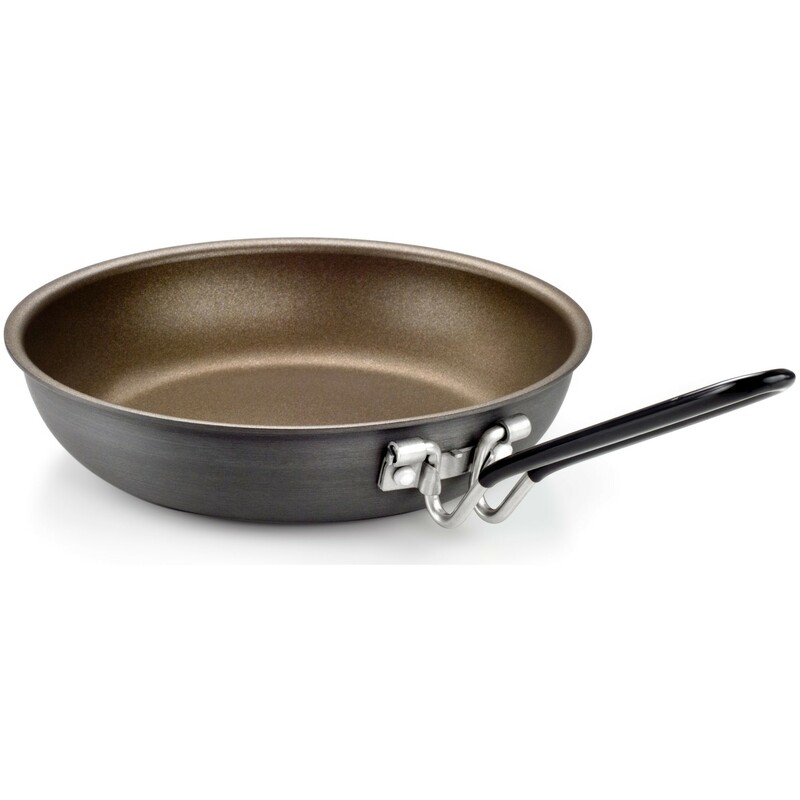 The GSI Pinnacle 8" Frypan is coated with Teflon Radiance for excellent heat dispersion and abrasion resistance. A spiral turned base grips the arms of your stove and reduces the likelihood of it slipping off. Folding handle for compact storage.